UniCarriers's Tergo® reach trucks bring your warehousing efficiency to the highest level. Entirely designed around the operator, these trucks will adapt to individual operational needs and provide world-class ergonomics. Explore the world's most personal reach trucks – 100% dedicated to your material handling operations. capital 'U'. The versatile UMS series is designed to fit industry and material handling operations to medium lift heights and will perform effortlessly in your transport or stacking operations from 1,600 kg up to 2,000 kg. This series of reach trucks is also the most ergonomic. 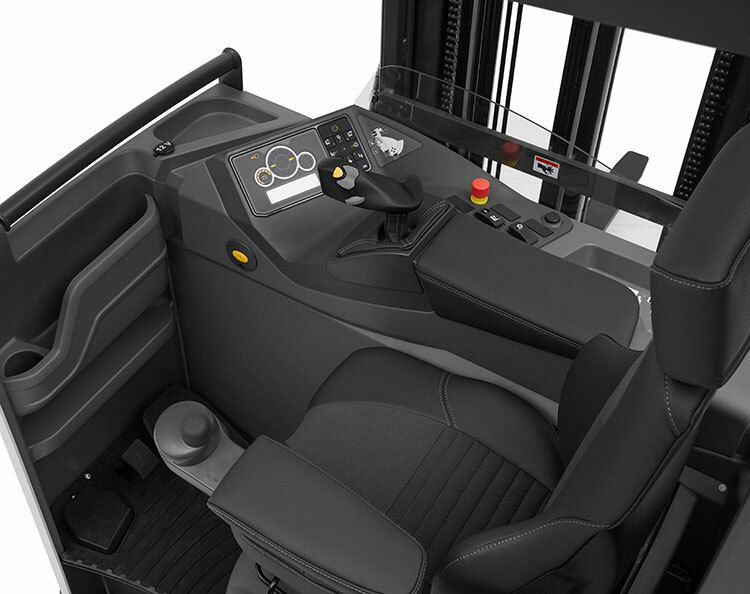 UniCarriers' unique mini steering wheel with floating armrest, the multi-adaptable operator's environment with height adjustable floor, intuitive controls, tilting seat and superior visibility put the operator in control to maximise efficiency and safety. The ProVision concept offers world-class all-round visibility, through the unique clear view mast with integral sideshift, and the special overhead guard design. These features make safe operation easier, and allow higher throughput. The UMS's 12.5 kph top speed (optionally 14.5 kph) and impressive lift and lowering speeds, makes the Tergo one of the world's fastest reach trucks. 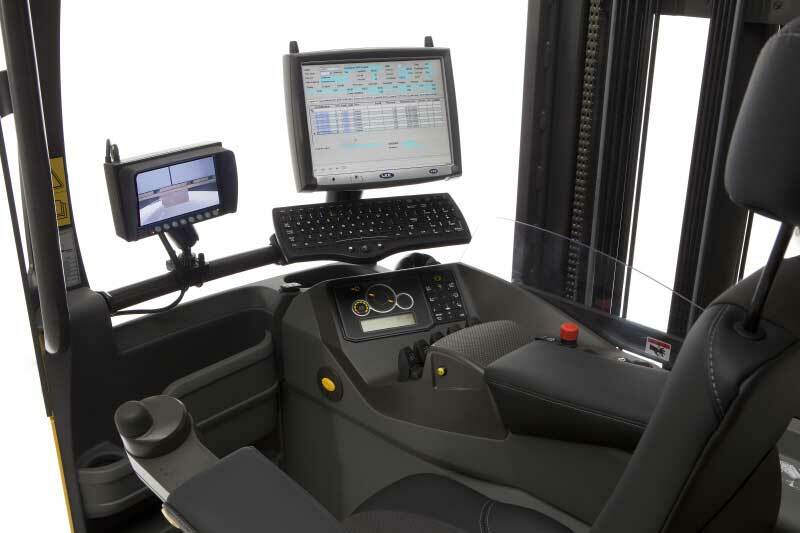 A wide range of innovative extra equipment such as ASR (Active Spin Reduction), LAS (Level Assistance System), Ergologic operator interface, Fast Track battery change system, load wheel brakes, video cameras, and weight indicators further improve usability. Traditional fingertip hydraulic levers and cold store cabin options complement what is probably the world's most personal reach truck. Are you interested in the TERGO® UMS? Click below to download the brochure! The spacious cabin is entirely designed around the operator. The unique mini steering wheel and floating armrest allow effortless manoeuvring during long shifts, and put minimal strain on the arms, neck and shoulders. The seat and the armrests are easily adjusted to the individual operator – up to eight different parameters can be set. The ProVision mast design further enhances visibility and ergonomics for efficient and safe operation. The angled bars on the overhead guard are painted with non-reflective paint, tested to provide unrestricted visibility of the forks while stacking. The separate footstep, and a specially designed step-in handle, make it easy to get in and out of the truck.